India, the land of diversities, is a sought-after destination to spend a memorable vacation. The topographical variations have also bestowed the country with romantic destinations, perfect for honeymooners. Agra, Goa, Shimla, Srinagar and Kochi are some of the popular honeymoon destinations in India. The Oberoi Amarvilas is a most preferred choice of honeymooners in Agra. The hotel is located in close vicinity to the emblem of love ‘Taj Mahal.’ The location, facilities, services, and hospitality makes the hotel rank amidst the top 10 hotels of the world. The hotel has also received many awards that further reflects to the satisfaction level of the guests. 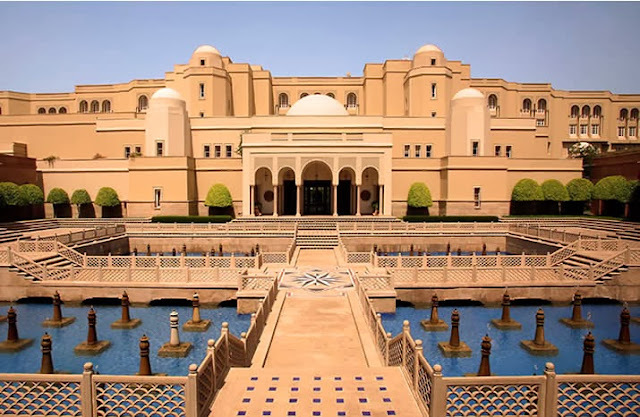 The hotel features the Mughal style of architecture, terraced gardens, fountains and splashing pools. The ambience is simply perfect for the couples to celebrate their love.. Address: Taj East Gate Road, Agra 282 001. Rooms: 102 (Premier Rooms, Premier Rooms with Balcony, Deluxe Suites, Luxury Suite, Kohinoor Suite). Dining: Bellevue (Restaurant - Indian & Continental Delicacies); Esphahan (Restaurant - Traditional Indian Cuisine); Lounge; Bar; In-Room Dining. Check out some more luxury hotels in Agra. The serene and secluded beaches of Goa have attracted tourists from far flung regions. Goa is one of the Indian states that experiences huge footfall from all parts of the world throughout the year. Park Hyatt is one of the prominent luxury hotels in Goa. The hotel is praised for catering all modern luxuries to make the vacation of the honeymooners memorable and pleasurable in Goa. Address: Arossim Beach, Cansaulim, South Goa - 403 712. Rooms: 249 (Park King, Park Twin, Park Deluxe King, Park Deluxe Twin, Sea View King, Sea View Twin, Park Suite King, Vista Suite, Imperador Suite). Dining: Casa de Sarita (Restaurant - Goan Delicacies); Da Luigi (Restaurant - Italian Delicacies); Masala (Restaurant - Indian Delicacies); Palms (Restaurant - Goan Delicacies); Village Café (Multi-Cuisine Restaurant); Praia de Luz (Restaurant); Poolside Bar Aquamarine. Among the hill-towns in India, Shimla is one of the very popular travel destinations. Visitors from all across the globe visit the erstwhile British summer retreat, Shimla. Wildflower Hall is one of the finest luxury hotels in Shimla. The hotel is praised for excellent accommodation equipped with excellent services, modern facilities and Indian hospitality. Here, apart from leisure, honeymooners could also indulge in various adventure activities. Address: Charabra, Shimla - 171 012, India. Dining: The Restaurant (Open-Air Dining - Asian & Continental Delicacies); Lutyens (Restaurant - Indian Cuisine); The Coffee Shop; The Cavalry Bar; 24 Hour In-Room Dining. Srinagar (Kashmir) is rightly dubbed as ‘Alps of East’ or ‘Paradise on Earth’. People from all parts of the world visit this Indian travel destination. The natural setting of the place ensures numerous lifelong memories to the vacationers. The Lalit Grand Palace is one of the prominent luxury hotels in Srinagar, which perfectly blend natural beauty with luxury. Honeymooners enjoy the attractions of the place and along with it, the recreational facilities provided in the accommodation. Address: Gupkar Road, Srinagar – 190001, Jammu & Kashmir, India. Rooms: 112 (Deluxe First Floor, Palace Suite, Maharani Suite, Maharaja Suite, Palace Cottage- One Bedroom, Palace Cottage- Two Bedroom, Super Deluxe First Floor, Super Deluxe Ground Floor, Deluxe Ground Floor. Dining: The Chinar Garden (Restaurant - North Indian Delicacies); The Chinar- all day Coffee Shop (Multi-Cuisine Restaurant - Traditional Kashmiri, Indian & Continental Food); Dal Bar. Old Harbour is almost 300 years old and is located in proximity with the popular Chinese Fishing Nets in Fort Cochin, Kerala. The property was renovated and transformed into a luxury boutique hotel. The hotel boasts of the architectural aesthetics belonging to the Dutch origin with slight Portuguese influence. 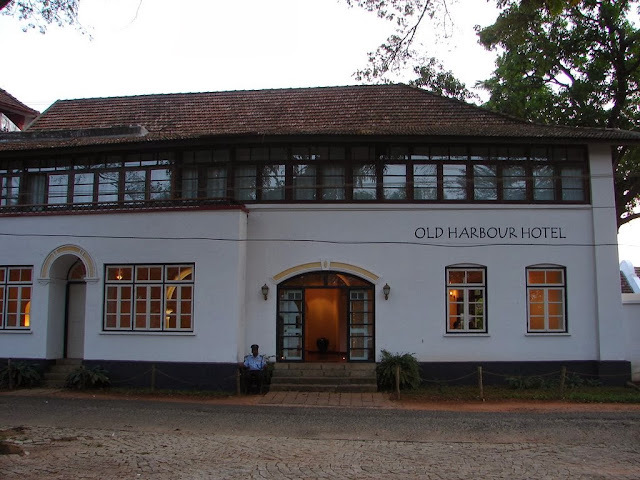 Guests experience the charm of the colonial times with a blend of modern technology and contemporary style. Honeymooners could enjoy quality time with each other in the lap of nature. Address: 1/328, Tower Road, Fort Cochin, Kerala, India. You may also want to have a look at the 5 honeymoon ideas in Kerala or check out our post on ultimate romantic holiday ideas in India.